"If you�re up for a bit of a climb, the trek (well, there is a road for much of the way, but we�re calling it a trek!) to Pura Lempuyang Luhur offers fabulous views. Six temples in total run up to the peak and while the views from the summit can be spectacular, remember if it is cloudy (as it was on our last visit) you�ll see precious little. If you are in luck you can enjoy tremendous views across to Gunung Agung and greater Bali." 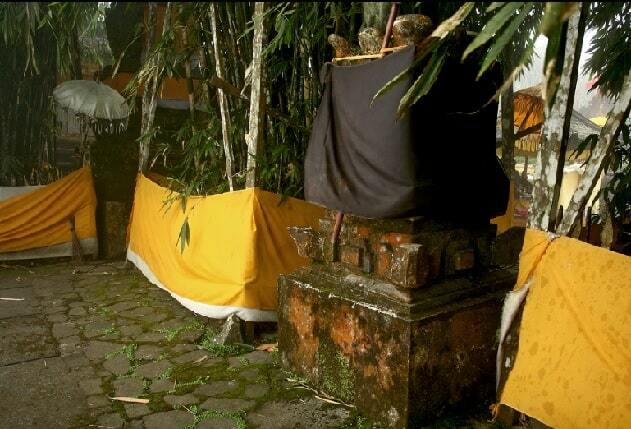 The Pura Lempuyang Luhur is a beautiful but small temple on the hill Seraya. Pura is a Balinese Hindu temple and it is the place for followers of Balinese Hinduism in Indonesia, where one goes to pray. The Pura Luhur Lempuyang is one of Bali's nine main temples and is of great significance for the Balinese culture and religion. So you will often see Balinese families of the island, visiting in full ceremonial attire and bring food over their heads with balancing large baskets. This with the aim to get the blessings of the priest in the temple at the top of the hill. It's not so easy to reach the place of the temple, because it is known that you have to climb 1700 steps to reach the temple. Some call this temple "The Temple of 1000 steps". To visit the temple you have to pull out for about 2 hours. Once you manage to come up, you will not regret all the efforts, because the temple is really nice and it has a great variety of interesting values of the Hindu religion. The entire temple complex consists of seven temples of which the highest is at 1,058 meters high. For the visitors of the temple complex it is compulsory to wear a sarong. 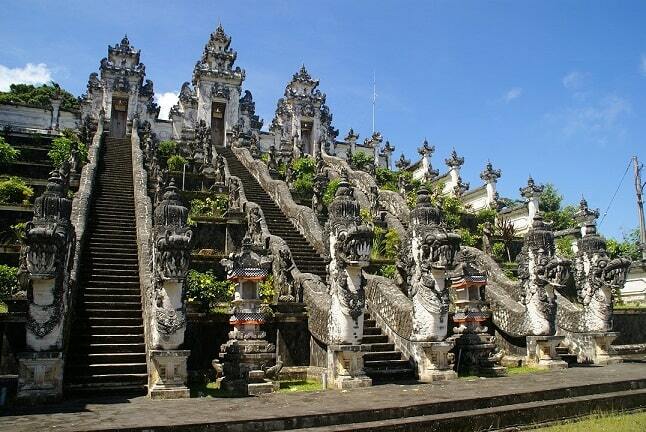 Down the hill you will find: the Pura Agung Lempuyang Tara Pena. This is the most beautiful temple to see. Only the left and right stairs may be used by visitors to the temple. The middle stage is for the gods and priests in special ceremonies. 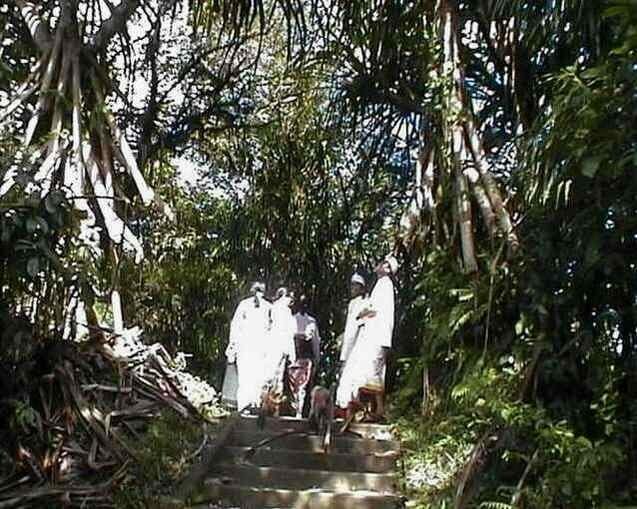 A narrow, paved road steeply brings you to the second temple Telaga Mas Temple. A narrow path brings you to the Mas Temple Lempuyang Madya Temple Puncak Bisbis Temple, Agung Lempuyang Market and only then you will reach the highest and most prominent temple Lempuyang Luhur temple. Not only will you enjoy the impressive architecture and unusual traditions related to the Hindu religion, which you see. However, because the temple is so high above sea level, you can enjoy a beautiful sunrise coming up over the mountains and the sea. Therefore, the best time to visit the temple early in the morning. Due to the higher location is during the day and mostly cloudy in the afternoon. The main reason for the Balinese is to make a pilgrimage to the temple to get some holy water. You get this holy water when you (3) shrubs growing in the courtyard of the upper temple. The holy water then drips away from the fresh bamboo stalks, when you cut a piece of yellow bamboo stalk. Unfortunately, not all pilgrims happy. The bamboo bushes keep growing, despite the cut. If you're lucky, you have a chance to visit the courtyard of the temple. Only tourists who are really interested in visiting the temples of Pura Lempuyang will be that lucky. They are advised to have a Balinese driver/ guide with them. Than you have a greater chance to get into the courtyard of the temple. 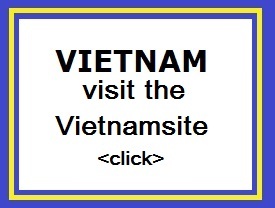 There is variety of different rules and restrictions that must be followed. It is very important to have a respectful attitude towards religion and traditions. Say no rude words! Even children with broken baby teeth, women who are breastfeeding or menstruating or those who have recently lost someone, are not permitted. For the typical western tourist this sounds probably very strange, but these are the local rules and if you are about to violate them you should not visit the temple. Keep in mind that everything can be wet and slippery during the rainy season.